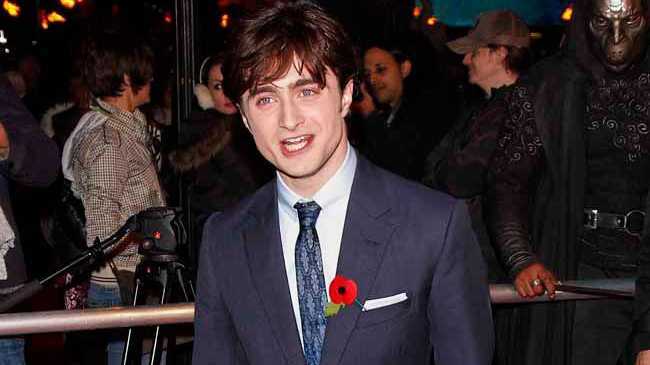 DANIEL Radcliffe was "worried" when he heard a rumour that another 'Harry Potter' book was being written. The British actor - who has portrayed the bespectacled wizard in the films of J.K. Rowling's hugely popular book series for the past decade - admitted he contacted the author in a panic when he heard false reports that she was planning an eighth instalment. He said: "I was worried! I texted her. I said, 'Look, is this true? Are you writing another book?!' "
Hours later the 45-year-old writer put Daniel's mind at rest, reassuring him there would be no more books - and joked that she had decided not to write another as a "reward" to the actor for depicting her protagonist so well in the last film Harry Potter And the Deathly Hallows: Part 1. Daniel said: "She wrote back that she was so pleased with my performance in Harry Potter 7: Part 1 that as a reward, she promised to never write another book about Harry." The 21-year-old star is coming to the end of his days playing the magical hero but says he has barely had time to think about it because of his other work commitments. "In a few months, I'll have to flip the switch and get back into Potter mode for a few days, but right now there isn't time to be nostalgic about it."